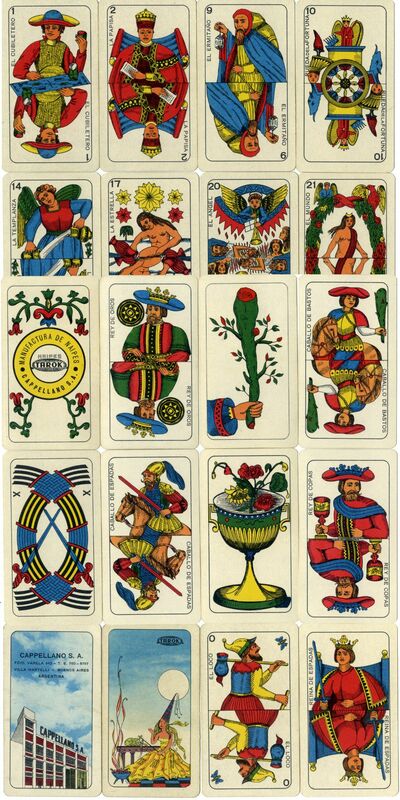 Piedmontese Tarot by Fábrica de Naipes La Primitiva, Defensa 125, Buenos Aires. 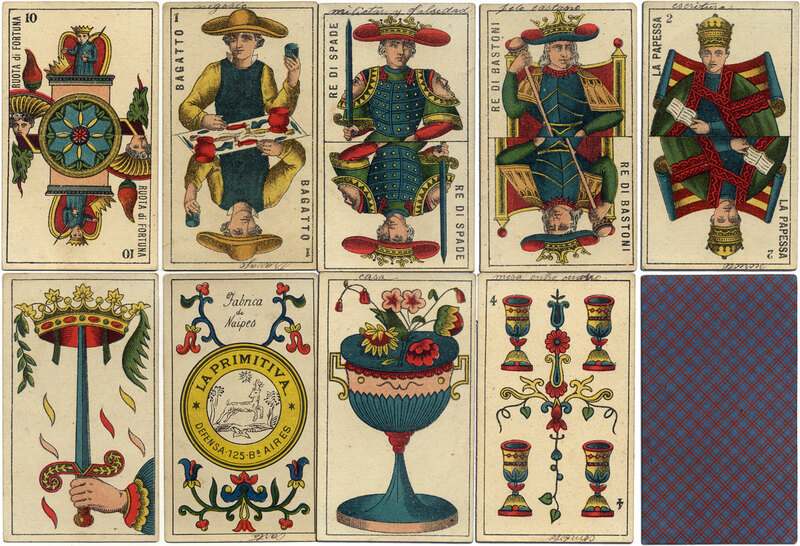 The cards shown here date from c.1890. The card names are in Italian. The reverse has a red plaid pattern on blue background. The b/w logo of a deer between two trees on the ace of coins is that of Sebastian Comas of Barcelona (Spain) whose standard cards La Primitiva was imitating. It is not known whether the logo was used with permission. Naipes La Primitiva are also known at Moreno 248 and Victoria 3179, Bs. As. Similar Piedmontese tarot packs were also produced at later dates by Mario Colombo and Cappellano S.A. The divinatory meanings written in Spanish in ink on the edges of some cards shows that the pack belonged to a student of fortune-telling, rather than a card-player.